Something I’d like to do here occasionally is highlight some of the work God is doing through his people. One of the ways we are seeing the gospel go out is through the intentional multiplication of churches. Below is a Q&A with Drew Raynor and Matthew Poole, who have been sent out from Imago Dei Church (Raleigh) to plant/re-plant a church in Cary, NC. If you’d like to find out more about Drew, Matt, and Harvest Church, see here. Tells us a little about yourselves, your families, etc. Drew is 28 and a graduate of the University of Georgia. He’s been married to his wife, Taylor, for 3 years and they have a son named Landon. Drew and Taylor met while at UGA and then moved up to NC to help plant Imago Dei Church as well as attend SEBTS. 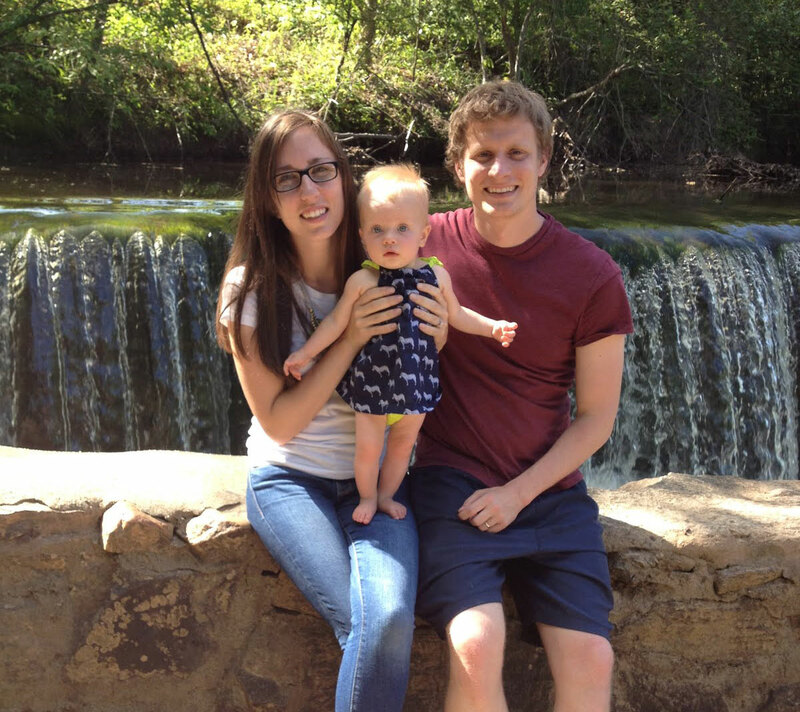 Matthew and Ashley have been married for 5 years and have a little daughter, Hattie. They met while on a year-long mission trip called The World Race. What led you to want to plant a church in Cary, NC? We initially sat down and began praying through the entire map of the U.S. As we continued to pray, the west side of RDU began to burden our hearts more and more as we saw the incredible growth rate as well as the relative lack of gospel-centered churches in the area. Ultimately, as we continued to pray through proceeding with plans to plant out in the Cary area, God gave us the green light and we began to move in that direction. How did you guys get connected, and how did Harvest Church get started? We got connected through mutual membership at Imago Dei Church and walking through the church planting internship there. The very first time we met we knew instantly that there was a bond, brotherhood and camaraderie between us that was Spirit-given. 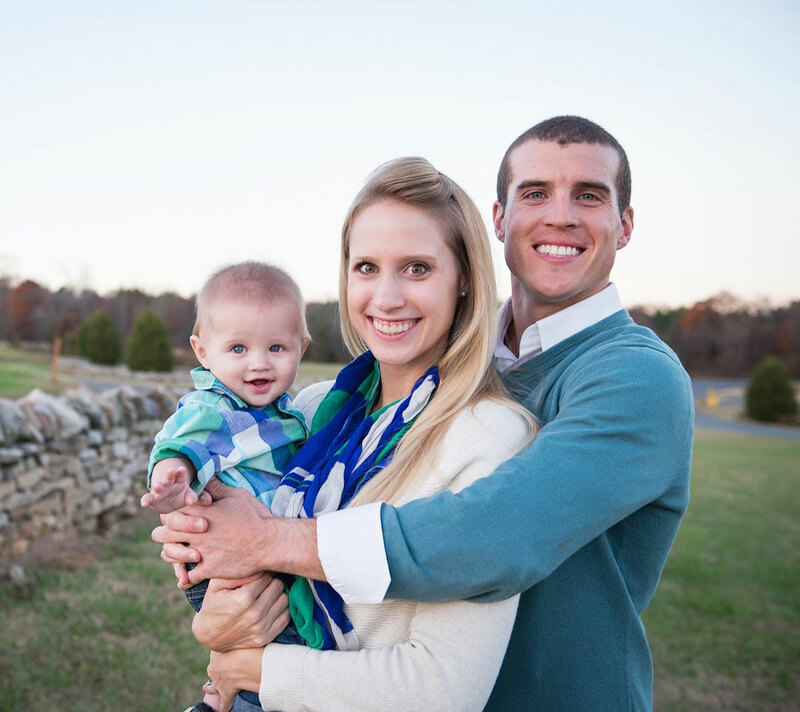 Initially, Matthew and Ashley were considering a move to Savannah, GA, where they had spent time as a married couple, to pursue ministry there. However, after hearing about and praying through what it would look like to be a part of planting a church in Cary, God’s leading became clear and the elder team was formed. The story of Harvest’s formation could take a book to recount in and of itself. Suffice it to say that the entire story has been one grand testimony to God’s goodness, providence and sovereignty over all things. Just after making the decision to press forward with plans to plant in Cary/West Raleigh, we received news that a church in Cary, North Cary Baptist Church, was in steep decline and was considering shutting its doors. After connecting with Daniel Palmer from SEBTS, who had been serving on pulpit supply as well as a general advisor to the church, it became clear that God was very much active in merging our stories together. Fast forward a few months and the remaining remnant of faithful members at North Cary Baptist had unanimously voted to dissolve their church and become a part of God’s plan to see a new, vibrant church planted on the property. That church is Harvest Church Cary. What specific ways have you already seen the Lord working in and through Harvest Church? A few specific things come to mind when thinking about the Lord’s work and goodness to us. First, we have seen him work miraculously in leading our congregation to a place of real gospel unity. Revitalizing and replanting a church with two very different groups of people—a group of young families from our sending church, Imago Dei Church, combined with a group of older/elderly brothers and sisters from the previous church—was a task we knew we were insufficient to accomplish. Over the summer months of meeting together for meals, worship and teaching, God gradually bound our hearts together in a way that was truly awe-inspiring. Another way we have seen the Lord’s work very evidently is in how he is already attracting to our body people from a variety of ethnic, racial, life-stage and socio-economic categories. This has really allowed us to reach out to the community in a real and welcoming way. We love that as we gather on Sundays and look around the room, things actually look like a family—babies, kids, high schoolers, young singles, married couples, empty nesters and even some elderly folks. In what ways have you been particularly encouraged as you plant and lead Harvest Church? One of the most encouraging parts of planting and leading Harvest Church is being forced by God to realize on the battlefield of ministry that His strength truly is made perfect in weakness and He truly is sufficient and capable apart from us to build His church. There is no part of Harvest Church, to this point, that makes sense apart from the sovereign goodness of God to draw people to himself when His Son is lifted up. We pray that this trend continues until Jesus comes back. As a young church, what is your “ministry strategy”? We have a pretty simple mission strategy, most of which flows out of the community groups that meet weekly in homes to facilitate gospel-centered relationships and gospel-advancing mission. These groups are the hub of the evangelistic, outreach, service/care and discipleship facets of what we do at Harvest. What do you hope to see the Lord do through Harvest Church, and how can we be praying? Given our location in the RDU metroplex, we really believe there is so much gospel potential that lies ahead for Harvest. We long to see businessmen and women in RTP come to know Jesus and impact their workplaces; we long to see NC State students meet Jesus and be set on God-glorifying trajectories around the country and to the ends of the earth as they prepare for the rest of life; we long to see high school students in our area come to faith and transform their clubs, teams and peer groups; we hope to see God bring to saving faith the stay-at-home-moms that our women engage with in parks on a weekly basis. Ultimately, we pray that God saves scores of people and builds a little piece of his Church among the people of Harvest Church. Please pray for our winsomeness and tact to adorn the gospel with our lives and proclaim the gospel with our mouths and that God would go before us to sovereignly prepare the soil of people’s hearts wherever he would send us. Based on your journey so far, if you could give one piece of advice to future church planters, what would it be? Pray! Among the helter-skelter nature of preparing church documents, planning sermon series, organizing volunteers and making sure somebody raises money, it is so easy to slip into self-sufficiency mode. Indeed, it demands real, ferocious intentionality to prayer or else the high demand of a weekly schedule can and even will cause you to forget the very Spirit that called you is meant to equip and sustain you through the process. Indeed, our tendency is not toward surrender but sucking it up and doing it on our own and that is both a tragedy for our souls and a danger for our families and churches. Commit to praying alone, with your spouse and with your other elder(s). The times of prayer will prove to be used mightily of God to crush idols, encourage hearts, supply energy and grant refreshment and vision. If you could give one piece of advice to churches who want to send out church plants, what would it be? My advice would be for sending churches to commit to a balanced investment in the lives of the planters. It is easy, in the preparation/apprenticeship process to fall into a lop-sided focus, either in the way of pragmatics or in the way of theology. Truth is, nothing forces the merging of theology and practice like planting a church. Church planting is an endless barrage of theological wrestling as well as having to walk through incessant pragmatic and logistical issues. If you have all the pragmatics but no theology, you will have money in the bank and cover your overhead but the gospel won’t be preached, the flock will not be cared for and disunity will become a poison. On the flip side, if you can quote Mark Dever for days and you can perfectly defend restorative church discipline and the nuances of the order of salvation but you don’t know how to balance a budget, plan for the future and lead a team of servant volunteers, you will have a great theological foundation for your people but probably won’t have a place to meet and will experience burnout very quickly. The church planter must be able to wear both the hat of an accountable theologian as well as a wise pragmatician.